The Mexican government’s plan to make Pemex a more efficient company by liberalising the oil and gas sector may be materialising, but the production-sharing contracts (PSCs) that were an important part of the reform have proven less successful, heard delegates at the Latin Lawyer 8th Annual M&A conference. Despite falling production and recent revelations of US$1.6 billion in cartel-led fuel theft, Pemex announced profits worth 13.3 billion pesos ($6.2 billion) in the first three months of the year. Revenue rose 14% to 397.4 billion pesos (US$20 billion), helped by rising oil prices, robust local sales and a stronger Mexican peso. However, top lawyers in Mexico’s oil and gas space also think Pemex has responded well to the sector’s liberalisation in 2014. Luis Nicolau Gutiérrez, a partner at Ritch, Mueller, Heather y Nicolau, SC, spoke highly of Pemex, describing it as commercially sophisticated. “By and large, what you find is the company signing very pro-business type agreements,” he said. Elisabeth Eljuri, chief legal counsel at Mexico's Sierra Oil & Gas, agreed the sector’s liberalisation had been good for Pemex. Eljuri also praised the government for working to make the reforms a success. “I’ve personally been very involved in Mexico for nearly two decades and I can tell you that I'm extremely impressed,” she said. The government’s willingness to hear private sector concerns and respond was noted. “They’ve been absolutely proactive in trying to make this a fantastic opening, seeking to cover every single piece of regulation that they needed to cover,” said Eljuri. She added that the government has done everything it could to make the changes a success given the political sensitivities involved. However, the reforms have not been a complete success. PSCs, which were meant to be a key part of the industry’s liberalisation, have proved to be unpopular among investors. This is because the agreement obliges companies to report expenditures and costs which are then submitted to the Mexican Treasury. The Treasury does not always approve these costs. In contrast, the oil and gas licences Mexico has granted for most of its deep-water concessions have limited government oversight and costs do not need to be approved. “You basically just get the licence and if you spend less, you’re going to make more money off the barrel,” explained Eljuri. Less government control has also made these licensing agreements more attractive to international finance mechanisms, such as reserve-based lending. 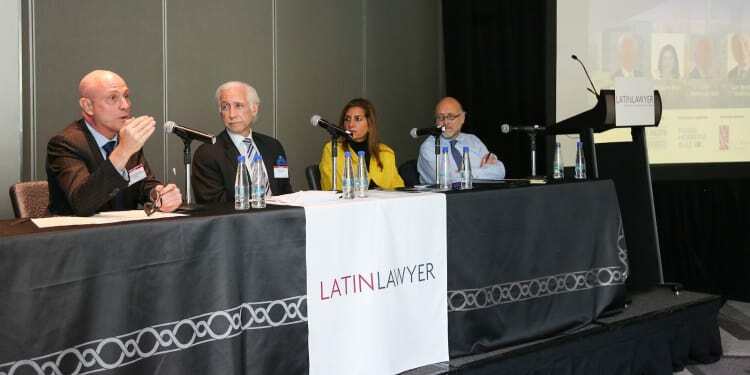 The panel, which was held in Mexico City in March and moderated by DLA Piper LLP's Robert Gruendel, also touched on Argentina’s Vaca Muerta shale gas play in the central province of Neuquén. Only Eagle Ford in Texas has higher reported reserves of the hydrocarbon, but investment was limited under the Kirchner administration amid tight currency controls. This has changed, said Javier Rodríguez Galli, a partner at Bruchou, Fernández Madero & Lombardi. There are 12 major oil and gas companies operating in the region, including the likes of Chevron, ExxonMobil and Shell. Despite the Kirchner administration’s monetary policies, Rodríguez credits its changes to the country’s hydrocarbons law for allowing greater investment today. The amendments increased concession terms from 25 to 35 years and fixed royalties at 12% during this initial term. Moreover, expenditure on corporate social responsibility programmes was capped at 2.5% of an initial investment. Rodríguez does not expect local communities to cause much problem for Vaca Muerta developers. “Basically, Neuquén is a big desert and it’s people are very used to hydrocarbon exploitation,” he said, adding that Vaca Muerta had changed the map of Argentina’s energy space. Coverage of the conference, which was co-chaired by Paul Schnell of Skadden, Arps, Slate, Meagher & Flom LLP and Patricio Trad of Mexico’s Mijares, Angoitia, Cortés y Fuentes SC, will continue next week. Previous reports analysed the threat corruption may play in M&A activity and investigated how international counsel should work with their local counterparts.